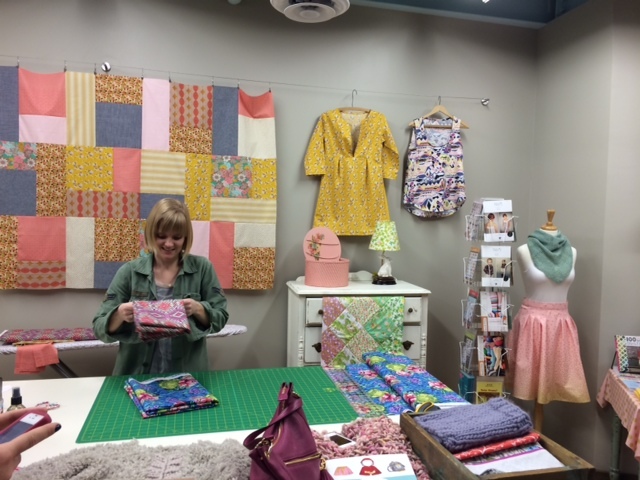 Taking full advantage of a duct tape dress form request, I traveled to Des Moines to visit my youngest daughter, take in the Broadway show, Once, and discover a great new fabric store! 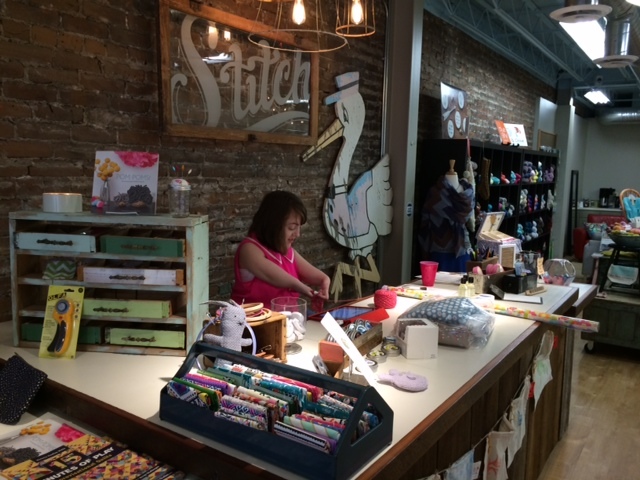 Stitch is located in East Village-a happening place in Des Moines with lots of local businesses and restaurants. The shop carries cotton fabric, patterns and yarn. I had to pick up a few things and support my daughter’s friend and one of the partners of the business. Great displays-made me want my own store. I hope to use a few of the patterns I picked up for Club next week. Good luck, Jessica and Madie! Posted on May 2, 2014 by KristinPosted in Fabric, Places to go, UncategorizedTagged Des Moines, East Village, Stitch. Previous Previous post: April Calendar, Easter Bags and ? ?